Hey guys! If you're looking for a place to get your haloween groove on and dress up in awesome costumes, I've got the perfect party for you! Vivere Hotel & Resorts welcomes everyone to “An Enchanted Halloween” this October 25, 2015 with activities and prizes that will charm the whole family. Let your children wander in an enchanted forest filled with mystery and fun while partaking in a scrumptious merienda cena with the spookiest creatures in the woods on October 25, 2015 Sunday at 1:00PM to 4:00PM, registration will start at 12:00 noon. 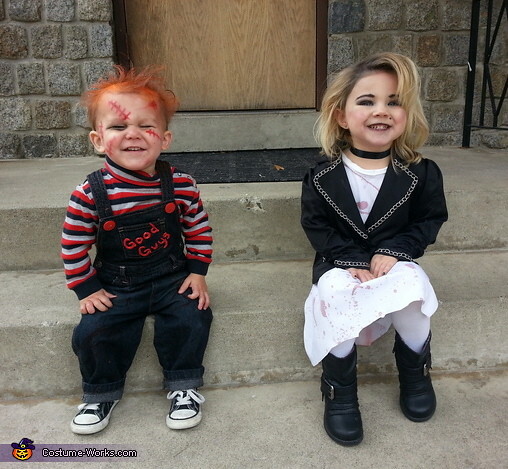 I'll be getting my Chuckie and Bride of Chuckie costume for my 2 kids and you should get your perfect costume too as the most striking costume will get the chance to with an XBOX ONE with kinect and a lot more in the costume contest. Be part of this enchanting world for Php700 nett/ adult and Php 900 nett/kid. Engage in the enjoyable atmosphere with various activities and prizes for the kids from Toy Kingdom, Fun Ranch, Lemon Square, Gardenia, Galinco, Trolli, Oishi, Lotte, Monde Nissin, Yakult, Arce Dairy, Hersheys, Global Linen, Spot Laundry, MEGA I-N-T-E-L Manpower Management Inc. , Absolute, Titania Wines, and Lonman General Merchandise. Reserve a ticket now at Vivere Hotel & Resorts or The Nest Dining in the Sky.